Originally printed on February 7, 2019 in the Exmouth Journal. 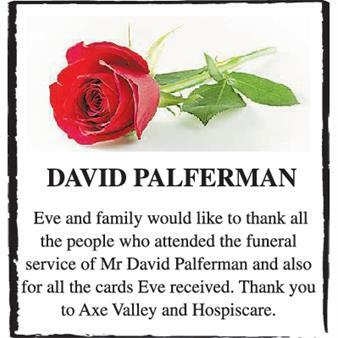 DAVID PALFERMAN Eve and family would like to thank all the people who attended the funeral service of Mr David Palferman and also for all the cards Eve received. 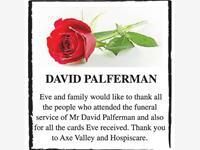 Thank you to Axe Valley and Hospiscare.